Now here is a special day you can sink your teeth into. Blueberry Muffins are one of America’s favorite muffins. And, the blueberry harvest is occurring right now! European settlers brought with them a recipe for “Bilberry Muffins”. Bilberries were not to be found in the New World. Wild blueberries, native to the Americas, were both plentiful and delicious. The wild blueberries were substituted for Bilberries, and the Blueberry Muffin recipe was born. Did You Know? Native Americans called blueberries “star berries”. In addition to tasting delicious, blueberries are very healthy for you. They are one of the best foods you can eat. Blueberries can help fight or avoid many ailments, including cancer, dementia, promote heart health, and much, much more. BTW: Three of the past four days have a special day with something to do with blueberries. Yet, the creator is not known in any of them. Perhaps, one blueberry loving person created all three days!? Baking blueberry muffins. Use fresh picked blueberries. Eating Blueberry muffins at for breakfast, lunch, dinner or as a snack. Have a happy and healthy National Blueberry Muffin Day! Our research has not yet uncovered the creator of this special day, or when it was first celebrated. 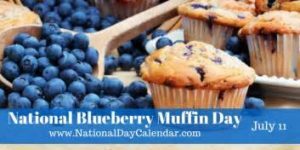 Neither the U.S. Congress nor any President of the United States has proclaimed today to be National Blueberry Muffins Day. How many people does the planet hold? The population of the world has increased steadily since the Medieval times. With an ever growing world population, people became interested in “Five Billion Day” on July 11, 1987. the approximate the date on which the world’s population reached five billion people. This sparked the creation of World Population Day. But, the population growth story does not peak there. According to the United Nations Population Fund, there was an estimated 7 billion people on October 31, 2011. 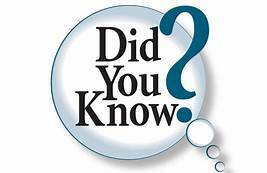 As for current numbers, the World Population Clock shows there are over 325 million people in the United States, and 7.4 billion people world-wide. It is estimated that the world’s population could reach 9.7 billion people by 2050, and over 11 billion by 2100. With that many of us, one wonders if this population level is sustainable? The answer quite frankly is, we don’t know. 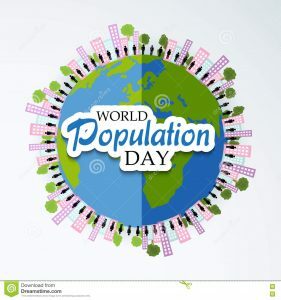 With all the issues related to these billions upon billions of people, World Population Day was established to raise awareness of global population issues. The United Nations seeks to promote awareness of issues related to population growth, including the importance of family planning, gender equality, poverty, maternal health and human rights. Population Day focuses upon people under 25, reproductive issues, and health. This day is sponsored by the United Nations World Population Fund (UNFPA). According to the UNFPA website, the focus of this day is upon people under 25 and those at reproductive age. This day seeks to provide education and awareness to reproductive health, reproductive choice, family planning, and to provide a better future for young people. You can participate in World Population Day by playing a role in bringing awareness of these issues to the youth in your community. World Population Day was started in by the Governing Council of the United Nations Development Programme at an annual event. Cheer Up the Lonely Day is an opportunity to make a lonely person happy. Any time you can make someone happy, you’ve done a good thing, and should be proud of yourself. Lonely people have few friends and loved ones. They may have lost loved ones over the years. They may be elderly. They see people on an infrequent basis. 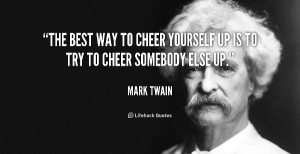 Spend some time today cheering up lonely people. It’s easy to do…..just spend some time with them. When you visit, bring happy things to talk about. Keep the conversation upbeat, and lively. When you leave, give a big hug and let them know you enjoyed the stay. Sending cards or making a phone call is okay, only if they live too far away to visit. What a lonely person really needs, is face to face time with other people. According to L.J. Pesek, Cheer Up the Lonely Day was created by her father, Francis Pesek from Detroit, Michigan. She told us that he “was a quiet, kind, wonderful man who had a heart of gold. He got the idea as a way of promoting kindness toward others who were lonely or forgotten as shut-ins or in nursing homes with no relatives or friends to look in on them.” Francis Pesek chose this day, because it was his birthday. http://arcadiawindber.com/wp-content/uploads/2018/07/Did-You-Know.jpg 173 267 Windber Arcadia Windber Arcadia2018-07-11 17:56:582018-07-11 17:57:15Did You Know? Coming Soon…….. July 28th at 7:30 pm BlackBeard The Pirate Was Here……ARG!